Exercise is one of the key elements to living a long, healthy and productive life, but there are so many different elements that need to be considered besides physical movement. If we can unite our spiritual, mental and body into one it could lead us to the most overall benefit towards a healthy lifestyle. In downtown Hilo there is a young woman, Molly Masaoka, which is trying to share the benefits of good health through yoga. Masaoka grew up on a farm in Iowa where she stayed active and fit doing a variety of activities. During junior high Masaoka played softball, swam on the swim team, ran track and played volleyball. In high school she ran cross country and during her sophomore year she discovered and began practicing yoga. “I graduated high school at 16, then moved to Santa Cruz, California where I continued my yoga and began to surf,” she said. The adventurous teenager moved, on her own, to Maui at 18 where she eventually met her husband, Nohea Masaoka, while catching waves. Masaoka fell in love with the islands, its land and its people and 30 months after moving to Maui she and her husband moved to the Big Island. “My husband’s family is from the Big Island and once we moved here I went to the University of Hawaii at Hilo where I got my degree in Political Science and later did an internship with Senator Lorraine Inouye. At age 20 Masaoka opened her own business, Yoga Centered Studio and Boutique where she has been teaching 8 to 10 classes each week. Masaoka’s fitness schedule includes either taking or doing a yoga class every day of the week and she will surf three times a week, depending on the waves. “I also like to do stand up paddling and I’ll walk once or twice per week,” she said. Even when Masaoka doesn’t have the time to do all of her fitness activities she will find other things to do to fit into her very busy schedule. Masaoka will also make a conscious effort in eating, choosing to honor what works best for her. “For me, I try to eat organic, and/or local as much as possible. I also avoid processed foods and I do not eat any fast foods,” she said. Instead Masaoka will eat a lot of vegetables, fruit, whole grains and fish. Masaoka will also cite a variety of benefits derived from doing yoga, from increased flexibility and strength to lubrication of the joints, ligaments and tendons. “Yoga provides a wide variety of health benefits both physically and mentally as it reduces stress, improves concentration and helps with depression and mood swings,” she said. Masaoka will practice a variety of styles of yoga depending on how she is feeling that day. “Vinyasa and Ashtanga are yoga styles that connect the flow of the breath to the flow of the body with a strong focus on cultivating strength, stamina and power while remaining comfortable and at ease with the challenge,” Masaoka said. When she is feeling tired and stressed out she will choose to practice a restorative, yin practice, which allows her to relax her body and rejuvenate her soul. 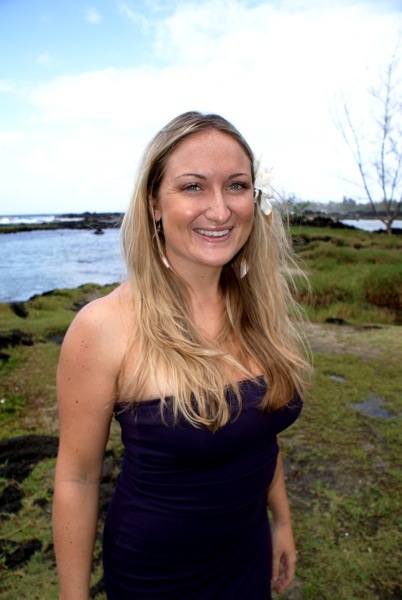 Masaoka received her certification as a yoga instructor in 2007 from the Nosara Yoga Institute in Costa Rica and she continues to further her education and certifications through a variety of workshops and retreats that are hosted by Yoga Centered.